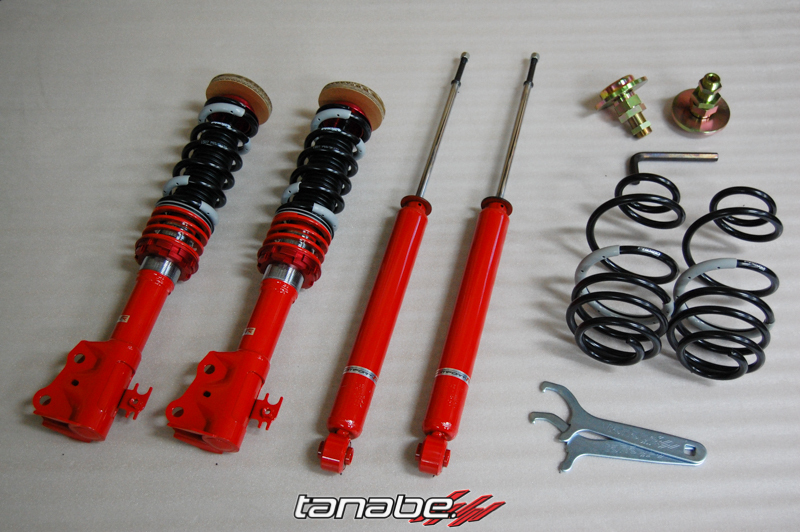 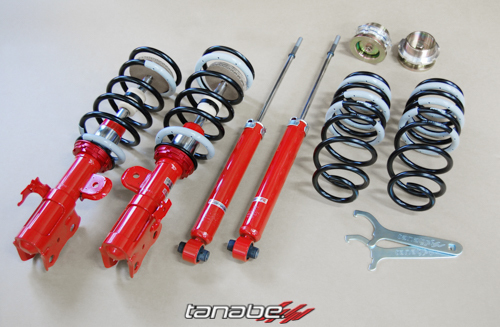 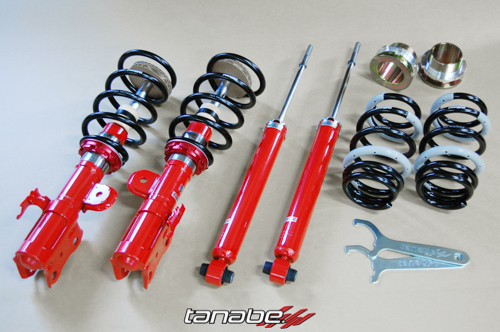 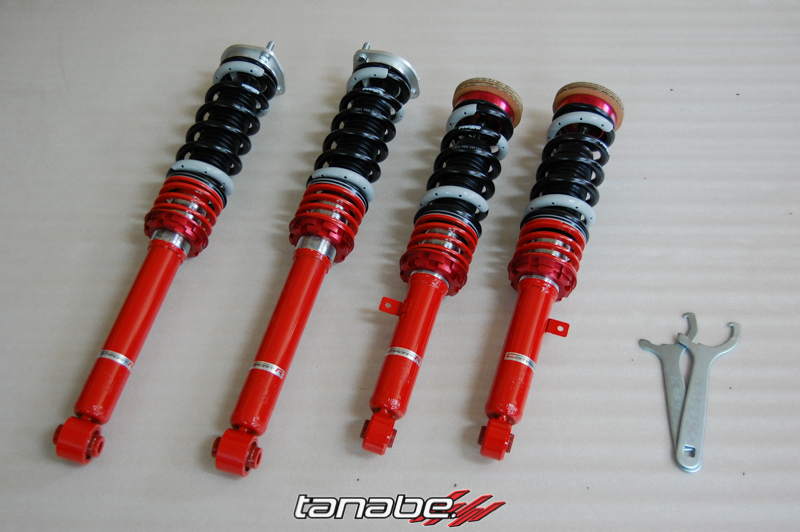 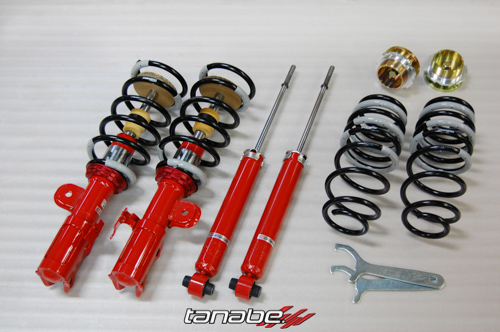 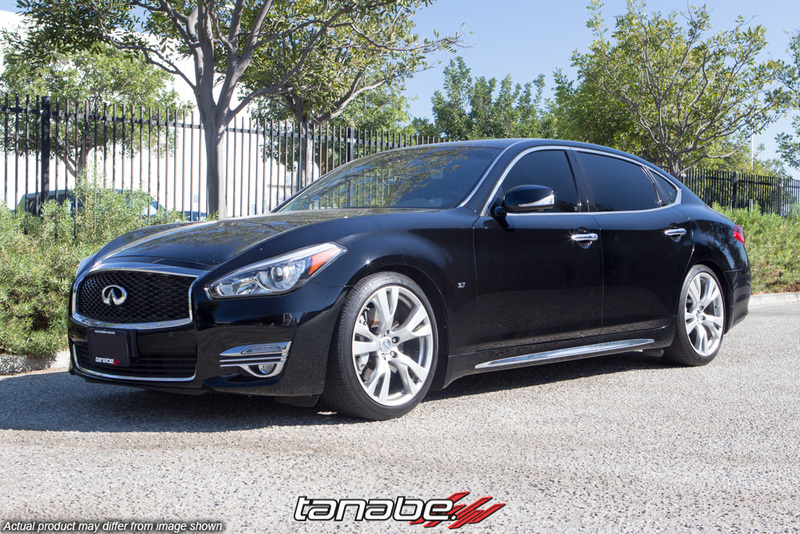 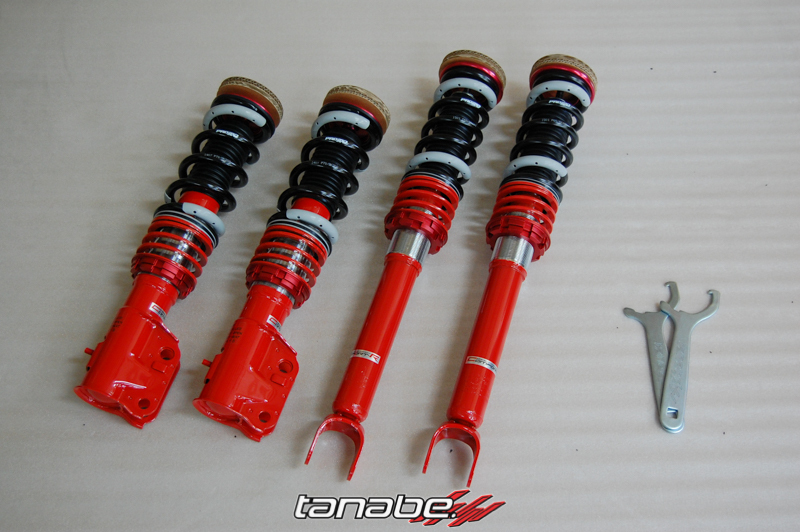 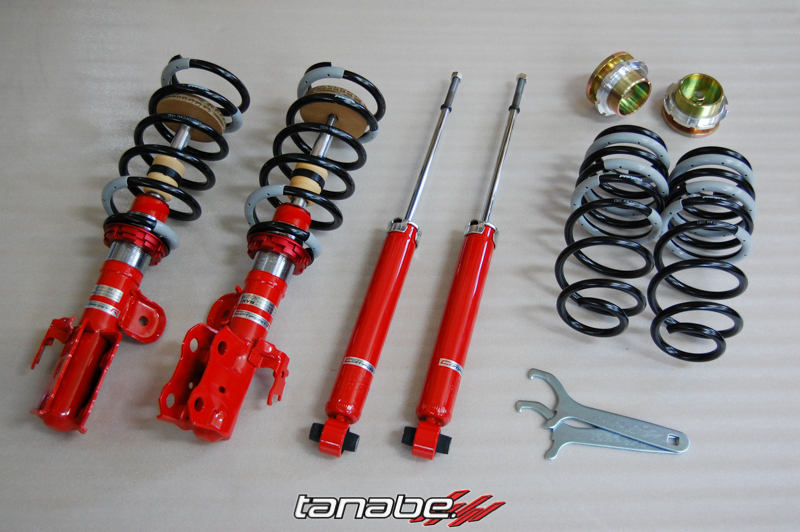 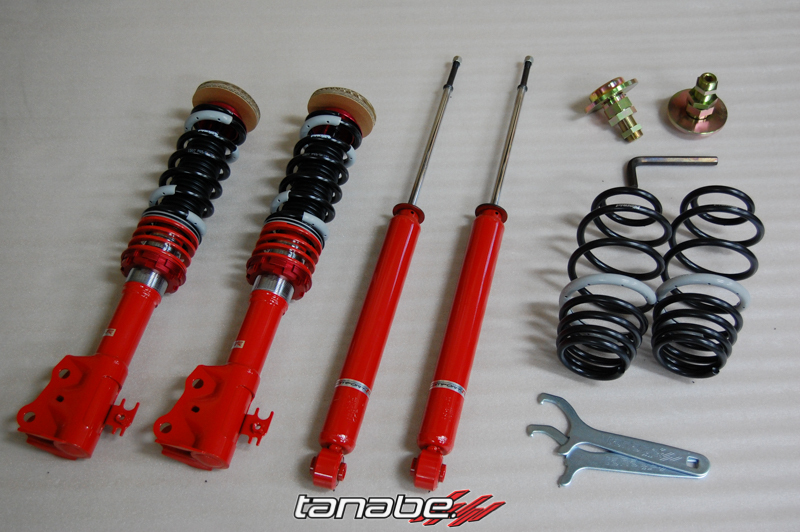 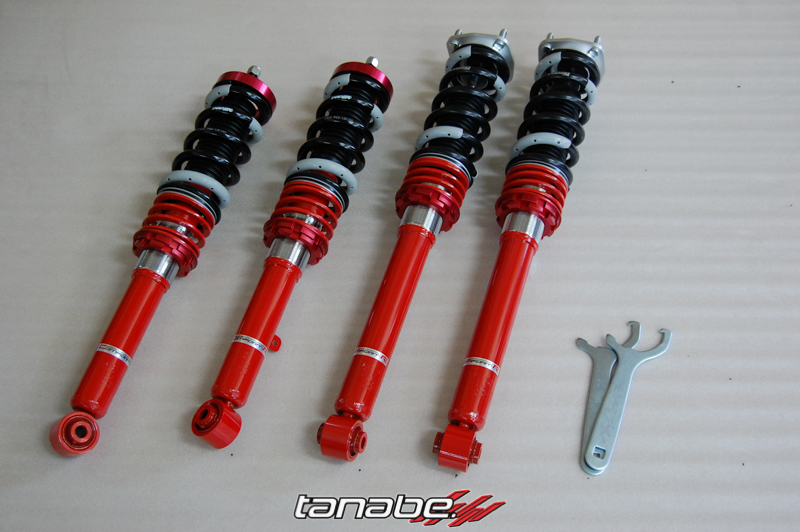 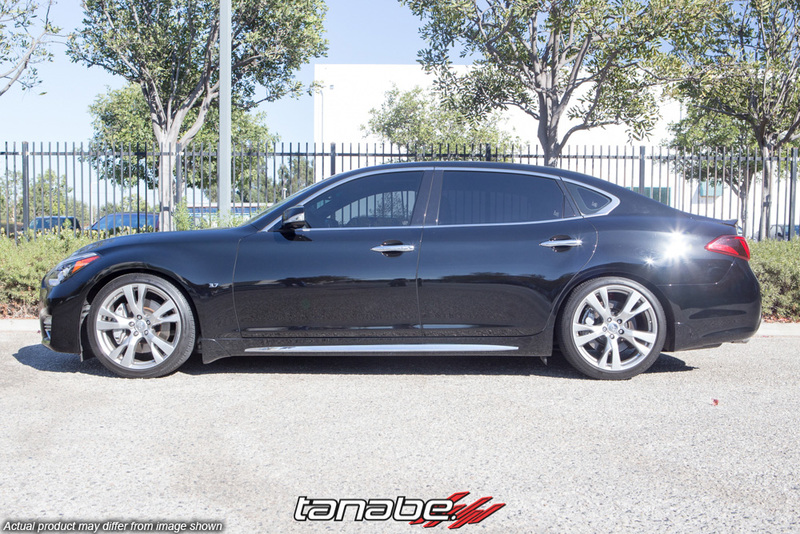 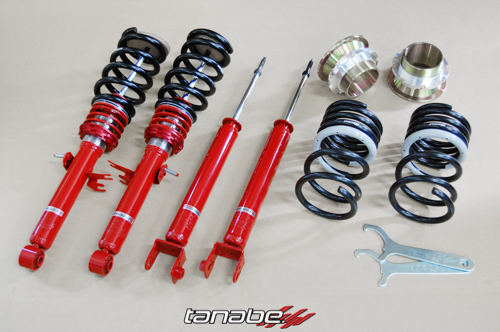 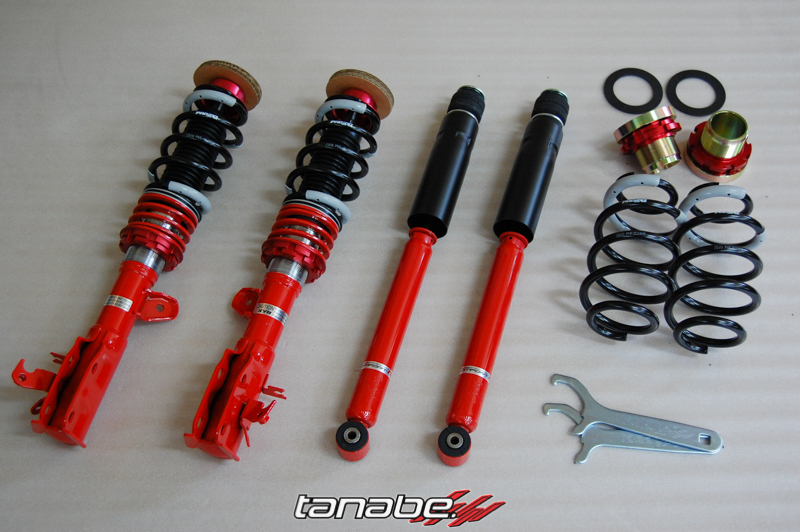 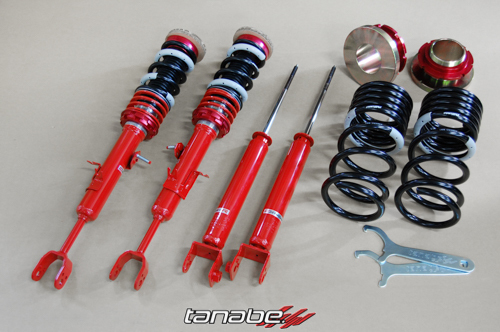 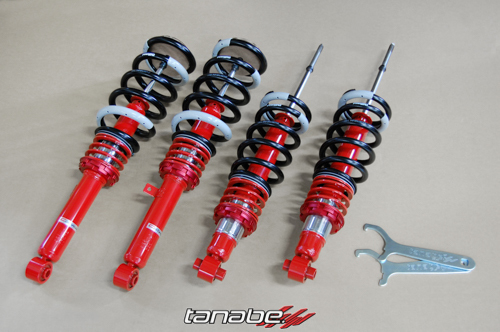 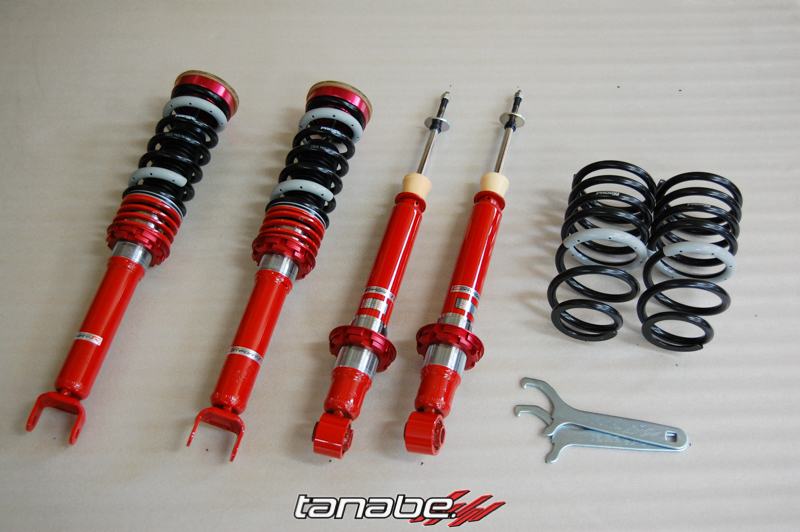 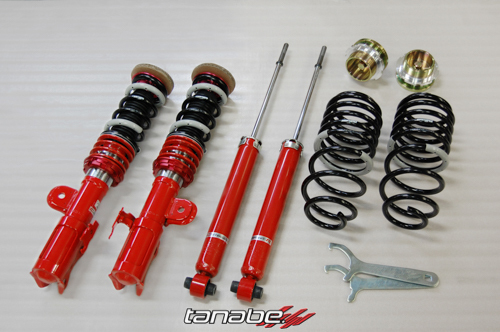 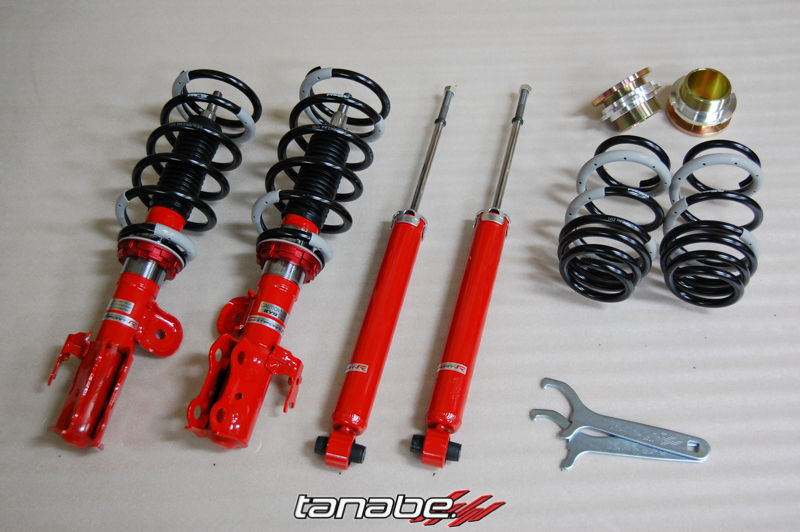 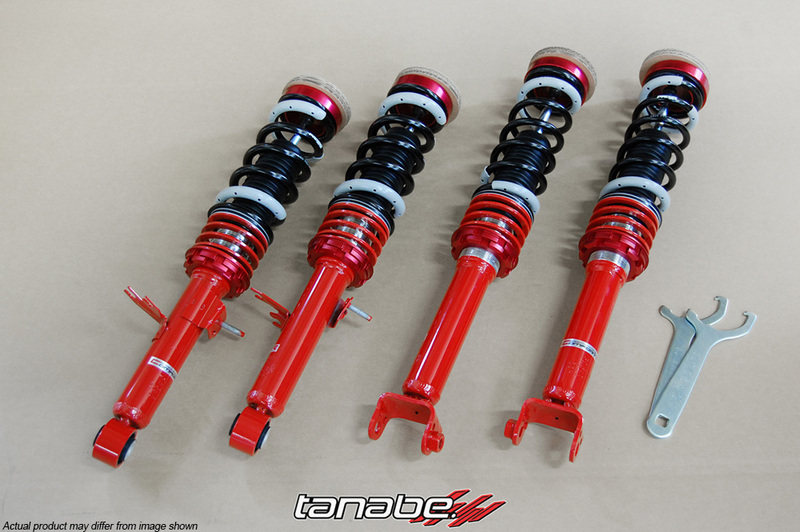 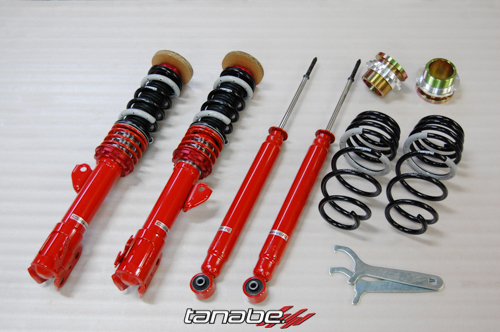 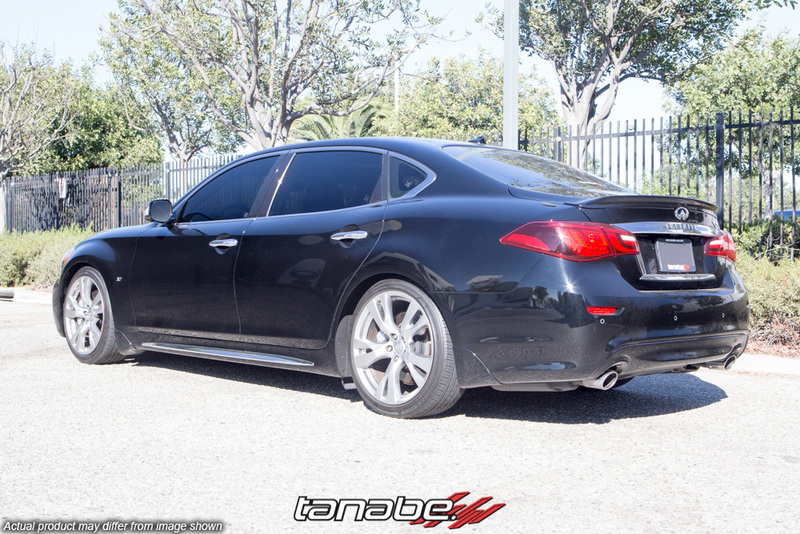 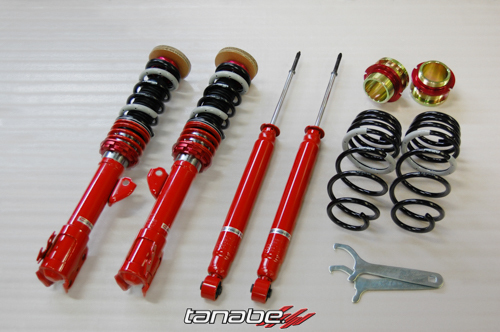 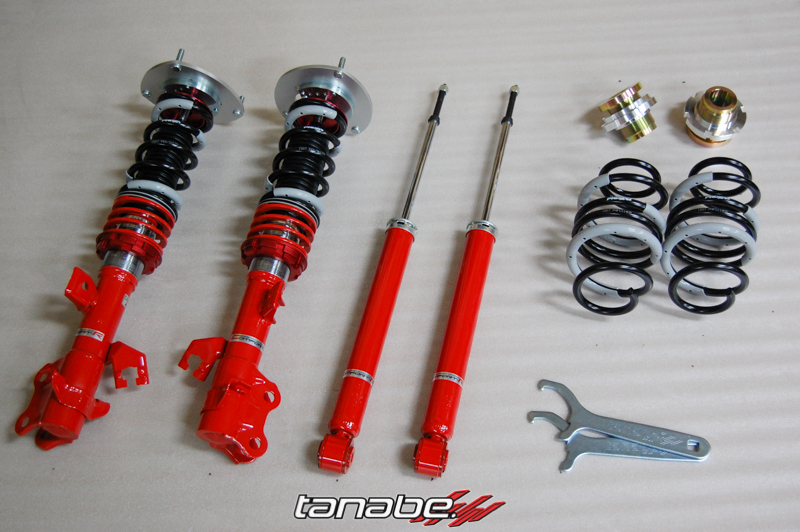 Sustec Pro CR Coilover is a brand new coilover system made by Tanabe. 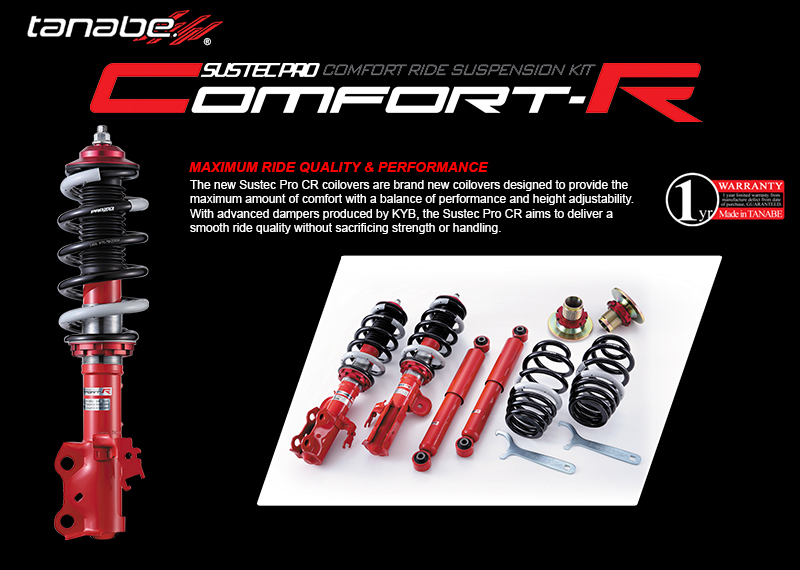 Sustec Pro CR uses advanced dampers made by KYB and offers fully adjustable ride height and a twin tube design. 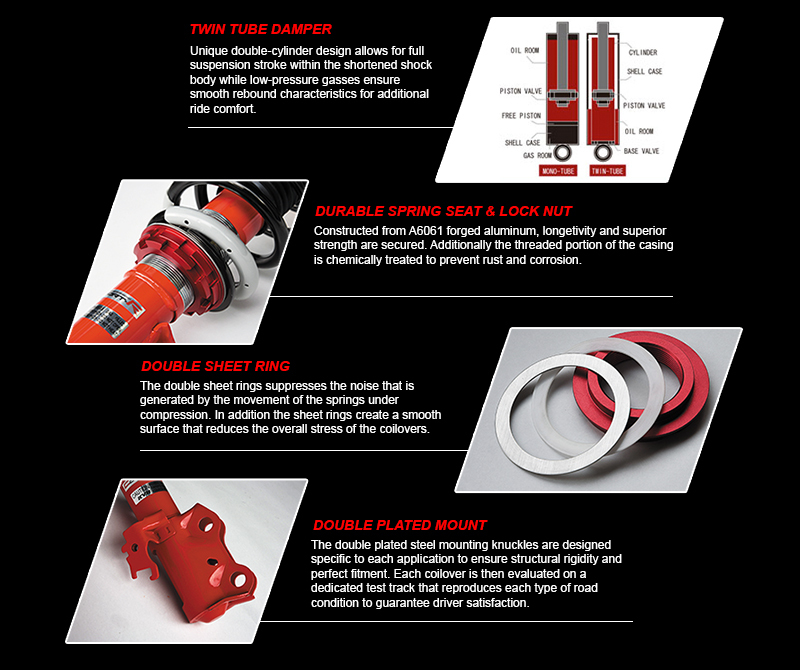 Made and tested on every vehicle application to meet the maximum comfort levels and direct fit. 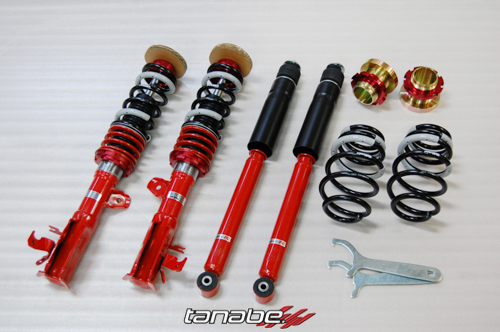 Sustec Pro CR uses the same high quality PRO210 Springs found on the SUSTEC PRO FIVE Coilover System. 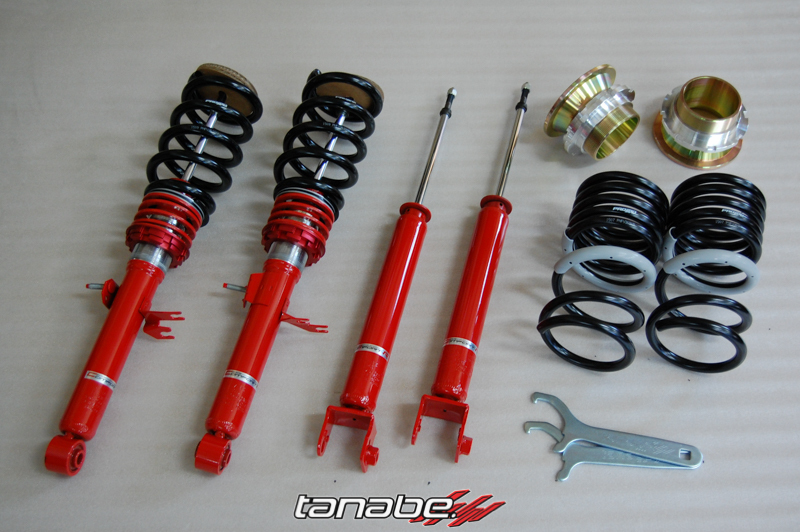 These are the same springs that were used in the Reito MOLA GT-R & Keihin Real Racing HSV-010 in the JGTC GT500 Class in Japan.